Toms Little Hide offers extra exclusivity in the already private concession where The Hide is located. Toms Hide also has views of the ever busy waterhole. For a more private safari experience than you will get at The Hide, Tom's Little Hide offers accommodation on 6.5 square kilometres for groups and families to enjoy. 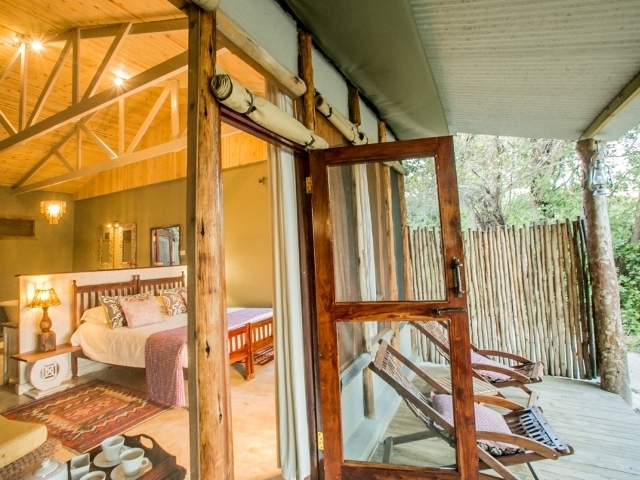 It is one of the newer rooms with a safari cottage and tented rooms facing the ever busy waterhole. You can relax on the private verandah which has lounge chairs and watch the animals of Hwange doing their thing. Exclusive use Tom's on the right side of the map. Click to enlarge. Tom's is booked out exclusively, and what makes a stay at this lodge even more special is that a professional guide and private vehicle are assigned to Tom's Little Hide guests during their stay, and with up to four activities per day included in the fully inclusive rates, guests can stay busy with game drives, game walks, game viewing in the underground hides, picnics, and night drives. Children's programs include conservation, wildlife and cultural programs, although the night drive has been found to be a favourite with the little ones. Tom's was named after the founder of camp, Tom Preston, in 2012. What makes a stay at this lodge even more special is that a professional guide and private vehicle are assigned to Tom's Little Hide guests during their stay, and with up to four activities per day included in the fully inclusive rates, guests can stay busy with game drives, game walks, game viewing in the underground hides, picnics, and night drives. 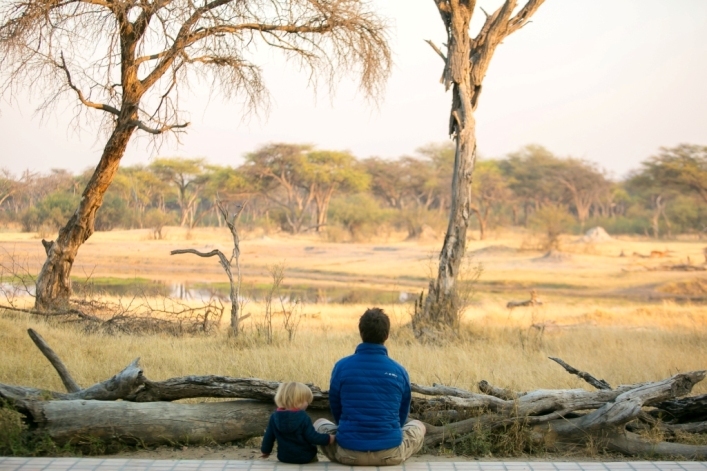 Children's programs at Tom's Little Hide include conservation, wildlife and cultural programs, although the night drive has been found to be a favourite with the little ones. The varying seasons in Hwange will have a huge impact on your wallet and Safari experience. The Green season (rainy season) will see incredible bird and insect life but reduced animal sightings. However lodge prices in most cases are dramatically reduced offering really good value. The High season (dry season) is when animals congregate in vast numbers around the waterholes and National Geographic type scenes are commonplace. This is peak season and lodge prices escalate substantially. Please feel free to contact us with details of your preferences and allow us the opportunity to discuss which time of year is going to suit you best. **NB** Hwange Lodges in the peak season get over booked, it is advisable to plan and book well in advance to ensure you get what you want. Three en-suite safari rooms offer accommodation for up to 10 guests (6 adults and 4 children), in a main cottage and safari tent. 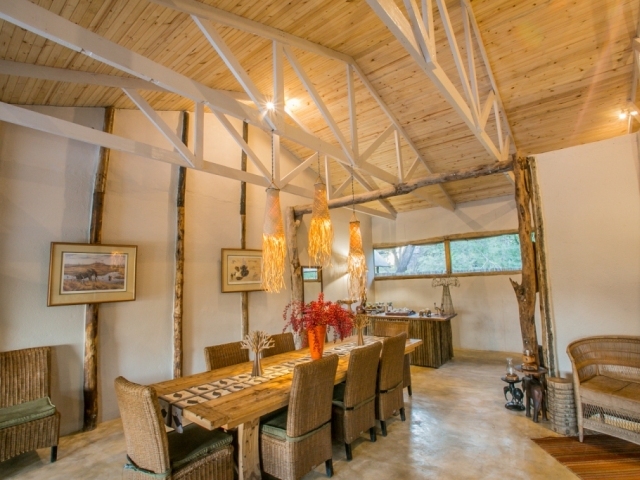 The main cottage is basically the central area, and contains two safari rooms with en-suite facilities, linked by a large private dining room. The adjacent cottage can accommodate up to four adults and two children at any given time. The outdoor lounge and swimming pool are located in front of the main cottage. The tented suite is right next to the cottage and has inter-leading rooms (double and twin rooms) and an outdoor shower and bathtub, and can shelter up to two adults and two children. All rooms have a view of the busy waterhole, and are west-facing, ensuring beautiful African sunsets as only Hwange can offer. Rooms have individual styles, but all are mosquito-proofed, have fans for the warmer months, outdoor bath and showers, and access to the pool in front of the main cottage, and the dining room which sits between the two rooms of the main cottage. On request, one of The Hide's deluxe tents may be incorporated if necessary, since it is close the Tom's Little Hide. The Game - This south section of the park is mostly on Kalahari sands giving rise to a diverse range of habitats. Including large areas of teak and acacia woodlands. There are also many vleis and open grasslands. There are a series of waterholes or pans notably, Ngweshla, Kennedy 1, Kennedy 2 and the Hide Pan. These pans are the life blood of the animals in the area. In the dry season it is not uncommon to see hundreds of elephants in a single afternoon coming down to drink. Large herds of buffalo also gather and where there are buffalo so are there lions. In short, the game is phenomenal in this area. Although please remember that game viewing is seasonal and not guaranteed. There are definitely better times of year than others. July – October are the peak game-viewing months when the bushveld is driest and therefore the greatest number of animals congregating around the pans. However the Green Season (Jan-May) is incredibly beautiful with all the new birthed animals and the birdlife especially prolific. April to June are cooler than the rainy season which is around November to March. Children of all ages are welcome, and those under 5 years old stay free of charge. Please note that the camp is located in an area where wild animals are free to roam, and also note that the swimming pool is not covered or fenced. Therefore, children must remain under adult supervision at all times. • Accommodation at Tom's Little Hide might become pricey as they require minimum of 4 guests, but the rates are fully inclusive and you get value for our money. •	Self drive if you have a 4x4 vehicle. • 35 min light aircraft flights between Victoria Falls Airport and Umtshibi Airfield or Hwange National Park. Seat rates are available. 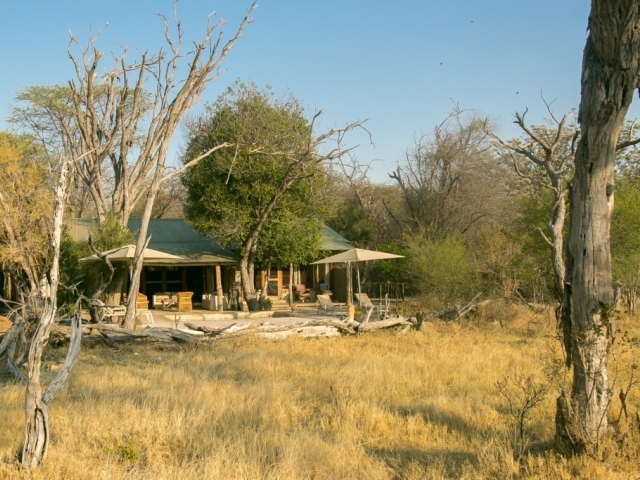 The Hide is just 40mins from Umtshibi Airfield or 1hr 30mins drive from Hwange Main Airport through the National Park. This transfer is conducted in a Hide open safari vehicle and offers game viewing opportunities. •	Transfers can be arranged from Victoria Falls to Hwange main camp, and then an hour long road transfer to The Hide or Tom's Little Hide. Ask for a quote when you make an enquiry. 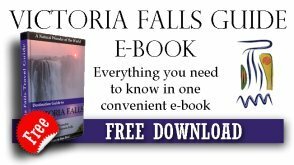 Click on the "Enquire Not "button below.